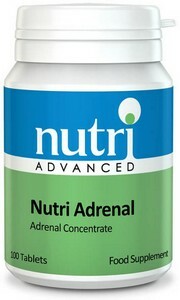 View cart “Nutri Adrenal by Nutri” has been added to your cart. • Thyroid hormones regulate metabolic rate, body temperature and cellular repair. 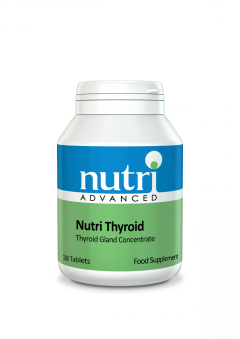 • Nutri Thyroid provides hormone-free thyroid concentrate, to nutritionally support this regulatory gland. • Thyroid concentrate contains the amino acids required to support healthy function of the thyroid gland. Tableted with: Dicalcium phosphate, Microcrystalline cellulose, Silicon dioxide, Stearic acid. *Bovine derived glandular concentrate comes from the organs of cattle (cow). They are freeze-dried before being manufactured into supplement form. All bovine glandulars found in Nutri products are sourced from New Zealand, which is recognised worldwide as a country that is free from BSE, enabling consumers to have the highest level of confidence in the safety of bovine-derived material from the region. The animals are not raised specifically to obtain glands or tissue structures. The primary industry in New Zealand is for meat production, so the glandular collections come as a by-product from that main stream. Take 1 tablet 3 times daily with food.